Red dwarf is a small, dim star with relatively cool surface temperatures, positioned to the lower right on the main sequence in the Hertzsprung-Russell diagram. 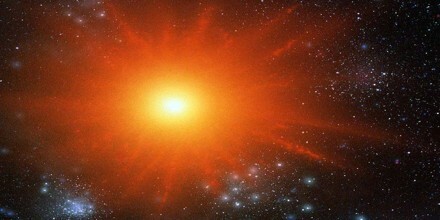 Red dwarfs, at about 0.1 to 0.5 solar mass, consume their nuclear fuel very slowly and live for about 100 billion years. Although they are difficult to see, they are so long-lived that they are likely the most abundant type of star; of the 30 nearest stars to Earth, 21 are red dwarfs, including the closest star, Proxima Centauri. Stellar models indicate that red dwarfs less than 0.35 M☉ are fully convective. Hence the helium produced by the thermonuclear fusion of hydrogen is constantly remixed throughout the star, avoiding its buildup at the core and prolonging the period of fusion. 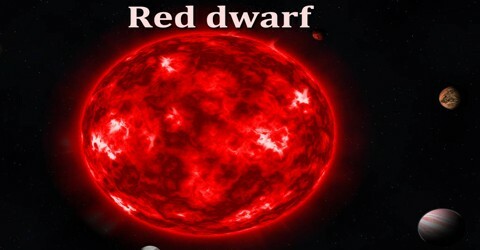 Red dwarfs therefore develop very slowly, maintaining a constant luminosity and spectral type for trillions of years, until their fuel is depleted. Because of the comparatively short age of the universe, no red dwarfs exist at advanced stages of evolution. In modern usage, the definition of a red dwarf still varies. When explicitly defined, it typically includes late K- and early to mid-M-class stars, but in many cases it is restricted just to M-class stars. In some cases all K stars are included as red dwarfs, and occasionally even earlier stars. The coolest true main-sequence stars are thought to have spectral types around L2 or L3, but many objects cooler than about M6 or M7 are brown dwarfs, insufficiently massive to sustain hydrogen-1 fusion. Red dwarfs form like other main-sequence stars. A cloud of dust and gas is drawn together by gravity and begins rotating. The material clumps at the center, and when it reaches the critical temperature, fusion begins. But red dwarfs include the smallest of the stars, weighing in at 7.5 to 50 percent the mass of the sun. Their reduced size means that they burn at a lower effective temperature, reaching only 6,380 degrees Fahrenheit (3,500 degrees Celsius). The sun, by comparison, has an effective temperature of 9,900 F (5,500 C). 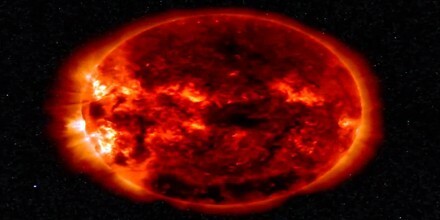 The low temperature of red dwarfs means they are far, far dimmer than stars like the sun. Their low temperature also means that they burn through their supply of hydrogen less rapidly. While other, more massive stars only burn through the hydrogen at their core before coming to the end of their lifetimes, red dwarfs consume all of their hydrogen, in and out of their core. This stretches the lifetime of red dwarfs out to trillions of years, far beyond the 10-billion-year lifetime of sun-like stars. Spectral Standards for M-type stars have changed slightly over the years, but settled down somewhat since the early 1990s. Part of this is due to the fact that even the nearest red dwarfs are fairly faint, and the study of mid- to late-M dwarfs has progressed only in the past few decades due to evolution of astronomical techniques, from photographic plates to charged-couple devices (CCDs) to infrared-sensitive arrays. Many red dwarfs are orbited by exoplanets, but large Jupiter-sized planets are comparatively rare. Doppler surveys of a wide variety of stars indicate about 1 in 6 stars with twice the mass of the Sun are orbited by one or more Jupiter-sized planets, versus 1 in 16 for Sun-like stars and only 1 in 50 for red dwarfs. On the other hand, microlensing surveys indicate that long-orbital-period Neptune-mass planets are found around one in three red dwarfs. Planetary habitability of red dwarf systems is subject to some debate. In spite of their great numbers and long lifespans, there are several factors which may make life difficult on planets around a red dwarf. First, planets in the habitable zone of a red dwarf would be so close to the parent star that they would likely be tidally locked. 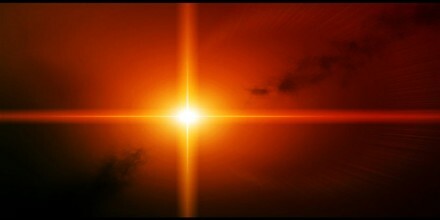 Red dwarfs emit almost no ultraviolet light, which would be a problem, should this kind of light be required for life to exist. 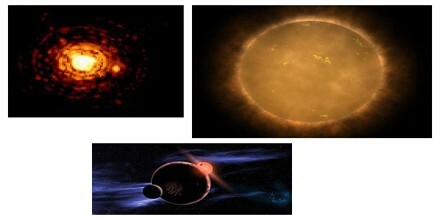 Variability in stellar energy output may also have negative impacts on the development of life. Red dwarfs are often covered by starspots, reducing stellar output by as much as 40% for months at a time. At other times, some red dwarfs, called flare stars, can emit gigantic flares, doubling their brightness in minutes. This variability may also make it difficult for life to develop and persist near a red dwarf. Tiny red dwarfs may have an extended lifetime, but eventually they, like all other stars, will burn through their supply of fuel. When they do, they will become white dwarfs, dead stars that no longer undergo fusion at their core. Eventually, the white dwarfs will radiate away all of their heat and become black dwarfs. But unlike the sun, which will become a white dwarf in a few billion years, red dwarfs will take trillions of years to burn through their fuel. This is significantly longer than the age of the universe, which is less than 14 billion years old. Red dwarfs may be a bit dim, but like the tortoise, they will eventually win the survival race. Which External Factors are Affecting Recruitment?